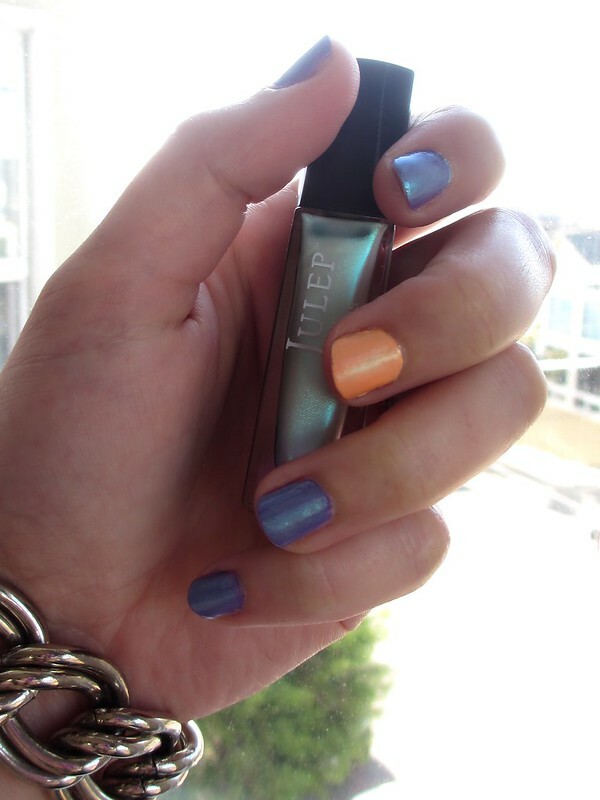 Julep Maven Review and Giveaway! I’m kind of in love with the Julep Maven subscription. For $20/month, I receive a prettily wrapped package of 2 nail polishes plus either a 3rd polish or a beauty product. It’s a super fun treat to receive in the mail! Julep gave me a choice of one of their intro boxes to review, so I chose the “It Girl” intro box since it included nail polishes I haven’t received in my normal subscription. 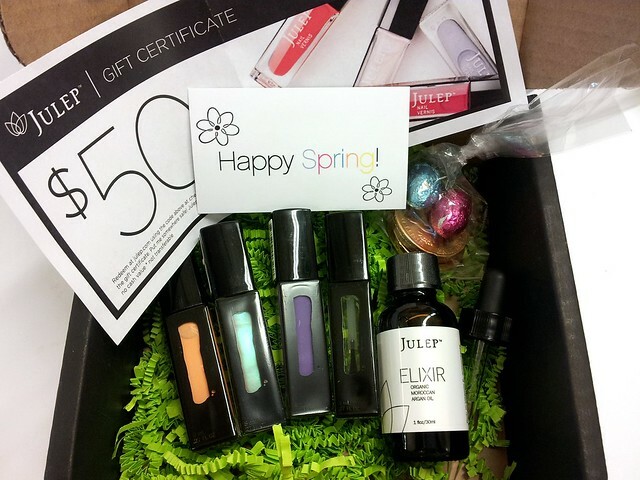 Julep Maven It Girl intro box. 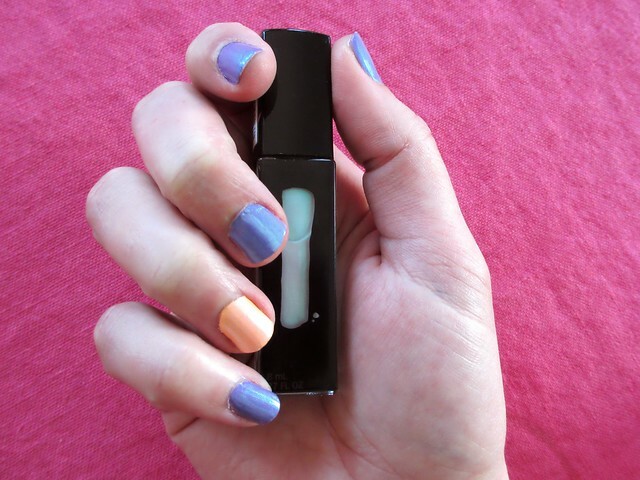 The It Girl box came with three polishes: Jessica, a light blue crème (in person it has cool tones, like a light periwinkle); Brooke, a sheer purple shimmer; and Mandy, an intense coral crème. 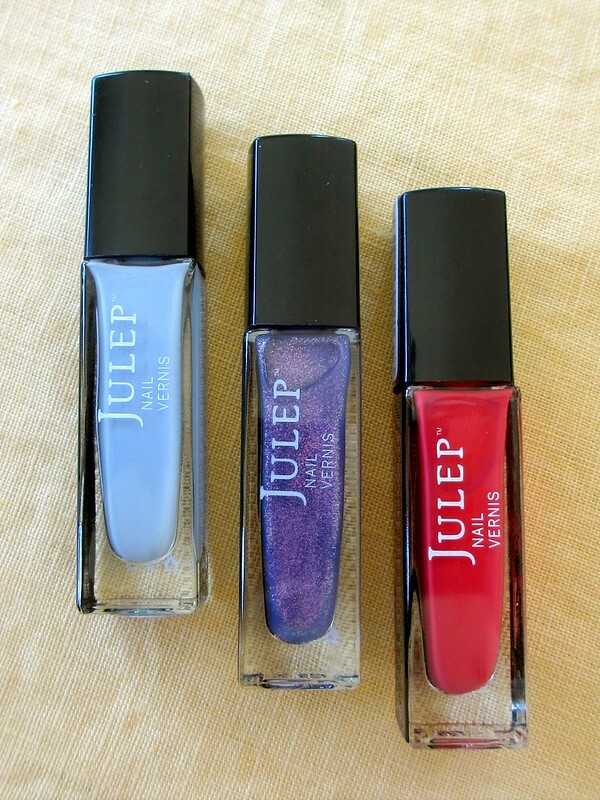 Nail polishes from the Julep Maven It Girl intro box: Jessica, Brooke, and Mandy. I started out with Mandy. This polish has a really smooth, easy-to-apply texture. It definitely requires 2 coats, because I found with 1 coat it was slightly sheer. But I paint fairly thin coats and always assume I’m going to have to do 2 coats, anyway. 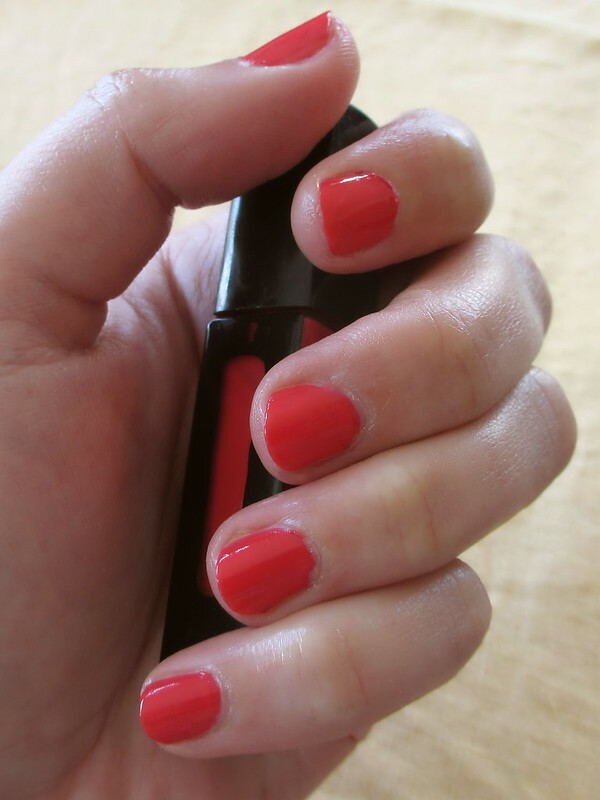 As you can see below, it’s a very bold coral – super saturated and on the darker side. Mani with two coats of Julep Mandy polish, an intense coral crème. Then I tried out Brooke. Like Mandy, Brooke is very smooth (despite the fact that it’s a shimmer) and easy-to-apply. I applied 2 coats, which gave my nails a purple hue and lots of sparkle. Mani with two coats of Julep Brooke polish, a sheer purple shimmer. I ended with Jessica. Jessica has a much thicker texture, so it was more difficult to apply. But I REALLY loved the color. 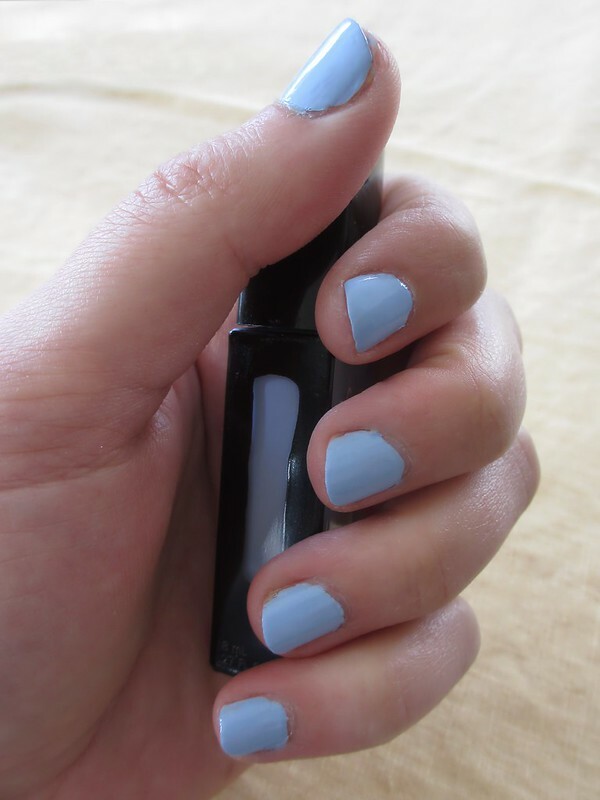 It’s a cool light blue – more of a light periwinkle than the baby blue that Julep describes it as. I ended up doing 2 coats, but it was thick enough that just 1 coat would have been fine. 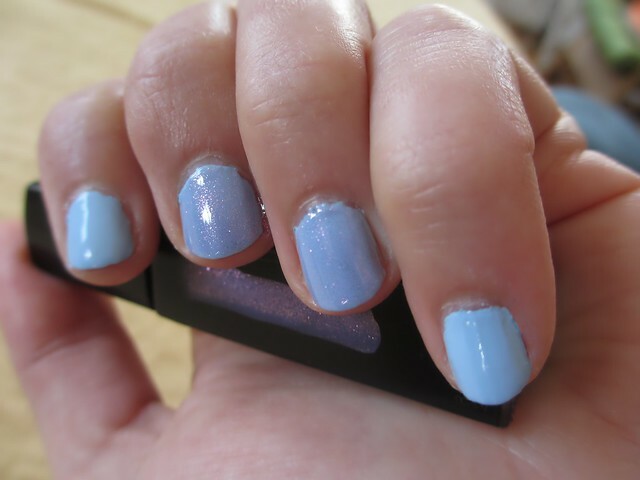 Mani with two coats of Julep Jessica polish, a light periwinkle blue. And just for kicks, I added one coat of Brooke. 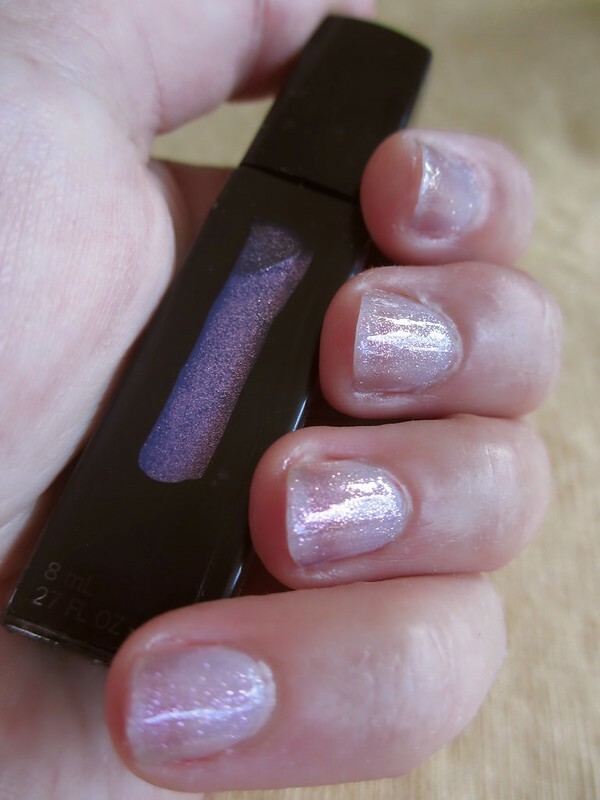 I thought the effect was very pretty – a nice hint of sparkle, and just the slightest purple hue. In the photo below, the 2 nails in the middle have 1 coat of Brooke over 2 coats of Jessica, while the other 2 nails just have 2 coats of Jessica. Mani with Julep Jessica and Brooke polishes. Let me know in the comments below what your Julep Maven style profile is! 1. This post was inspired by Amy’s post. 2. Rocky is super smart. He also drinks tons of water. When I don’t refill his water bowl quickly enough, he turns it over and crouches pitifully beside it. 3. Sometimes, Rocky is too smart. He’s learned how to put down the window in the car. 4. I have a poogle named Jasper. He’s an absolute sweetheart, but he doesn’t come to work with me because he gets anxious. 5. Both my dogs are rescues. 6. I swear there’s more to my life than dogs! 7. Like nails. Santina recently taught me how to do polka dots! 8. Board games are awesome. Particularly Settlers of Catan, Carcassonne, and Scrabble. Also Bananagrams, even if it’s not really a board game. 9. You know what else is awesome? xkcd. Nothing better than nerdy comics! 10. Speaking of which, nerds are TOTALLY awesome. 12. Taking a decent self-portrait in pin curls, without makeup, is damned near impossible. Thank goodness for Instagram filters! And that trick of pinching cheeks for a temporary blush (learned from reading 18th/19th century novels). A couple of months ago I signed up for Julep Maven. Once a month, for $20, I receive a box of nail polish/beauty products (either 2 nail polishes and a beauty product or 3 nail polishes). I’ve never done a subscription service like this before, but I’m really enjoying it! I totally lucked out! Of course I had to try out my new polish, and I’m really happy with all of it. I painted most of my nails using 2 coats of “Anne” (lightish/medium violet crème), and painted an accent nail on each hand using “Hayden” (peach crème). Then I added a coat of Melissa (opalescent shimmer), and topped my nails off with Julep’s Fast Dry Topcoat. What do you think of subscription services? Is there one you love & would recommend? Or one to avoid?